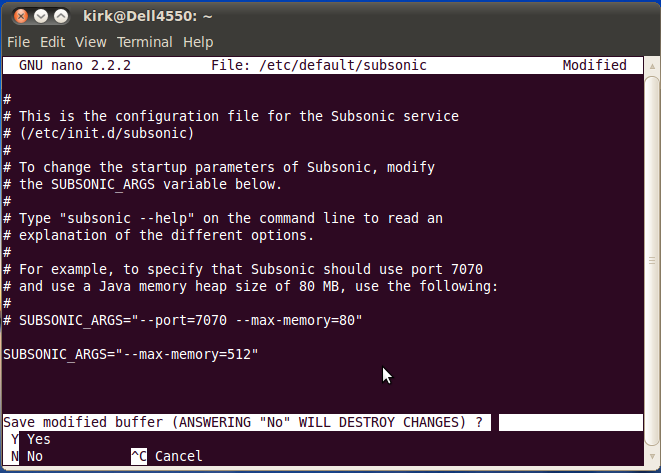 I've been watching the Help boards for awhile, and it seems to me that a lot of Subsonic issues are simply caused by the application running out of memory. On modern hardware, with plenty of RAM, this shouldn't be an issue. 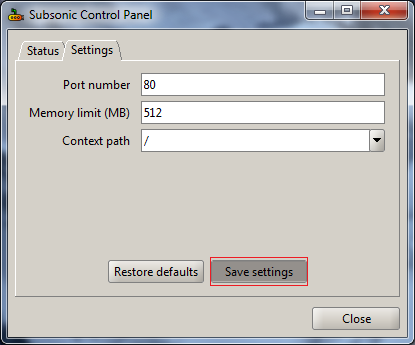 Increasing Subsonic's memory usage limit is very easy. I had to fumble around on Google for a few minutes to figure out how to do it on Ubuntu... I decided I'd post this guide here, with a nice subject line for Googlers to stumble on so this process can be painless to someone less experienced than I myself. For the convenience of the viewers, I am also including some image documentation on how to do this. Raising your memory limit is really easy... let's make it a no-brainer. 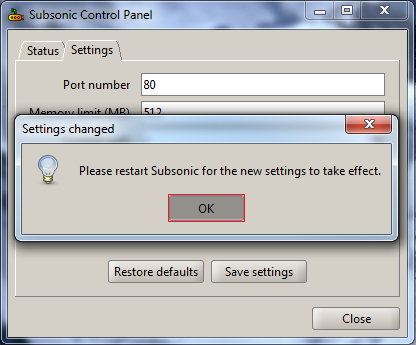 - Right click the Subsonic icon in the system tray. (The area on the bottom right, where the clock is). Note: Your Subsonic icon may be hidden. Expand the system tray if you don't see it. - Click "Subsonic Control Panel" on the menu. - Go to the Settings tab. - Increase the memory limit to the desired amount. 512MB should be great for any typical setup. - Then go back to the Status tab. Hit STOP, then hit START. 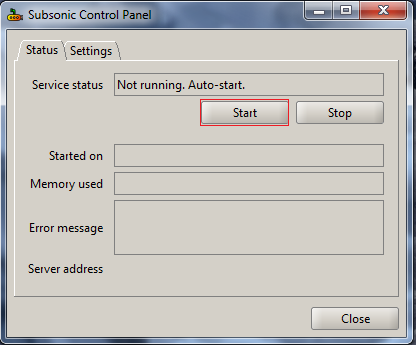 Subsonic has now restarted, and is running with an increased memory limit. 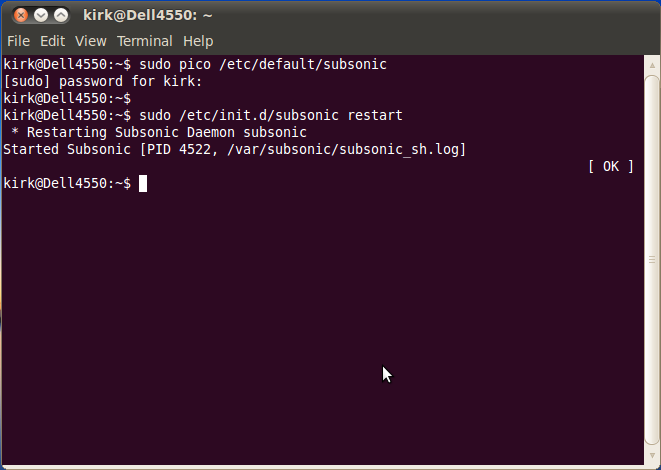 - Open a terminal or an SSH session to your Subsonic server. 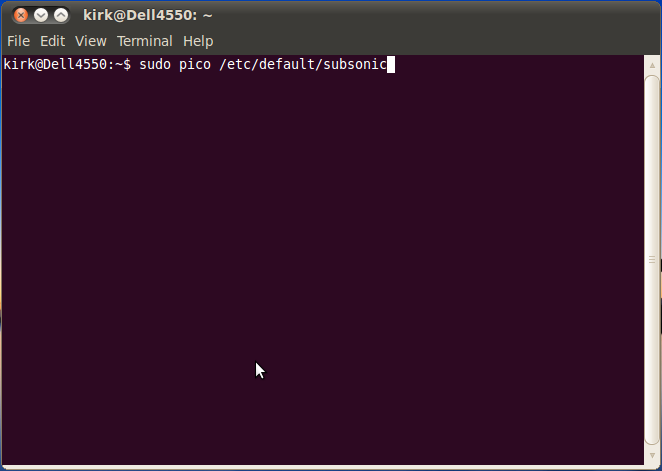 - Open the file "/etc/default/subsonic" in your favorite text editor. I like Pico. - Change the max-memory directive from 100 to your new memory limit. (In Megabytes). 512 should be great for any typical usage scenario. - Restart Subsonic. 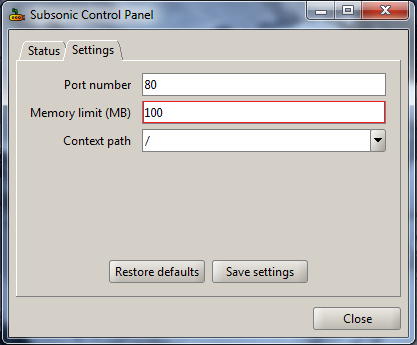 Subsonic is now running with your new memory limit. If anyone wants to prepare a short how-to for Mac OS X, that'd be great... I only have Linux and Windows to play with. is there is baseline for this setting? 512 seems low if the system has 4 gb of ram right? aktiveradio wrote: is there is baseline for this setting? 512 seems low if the system has 4 gb of ram right? My 512 is merely for example purposes. Yes, it could be higher. I don't think there is an upward limit. However, allocating merry that isn't going to be used is pointless... I run my Subsonic server with 512MB and have no issues. Naturally you are free to increase your memory limit as you please. Last edited by Kirk on Sat Aug 14, 2010 11:18 pm, edited 2 times in total. I've been fiddling with the memory settings because of video playback pausing (still working on that) and noticed that setting this memory limit above 1630MB will cause the service to fail starting. Anything below 1631 works fine. I'd be happy to post a tutorial, but I haven't been able to find where to adjust this memory declaration. I'm currently running out of memory, using 94+ of the 97 MB default. This error ("java.lang.OutOfMemoryError") in my library listing prompted me to hunt for solutions, thus I ended up here. 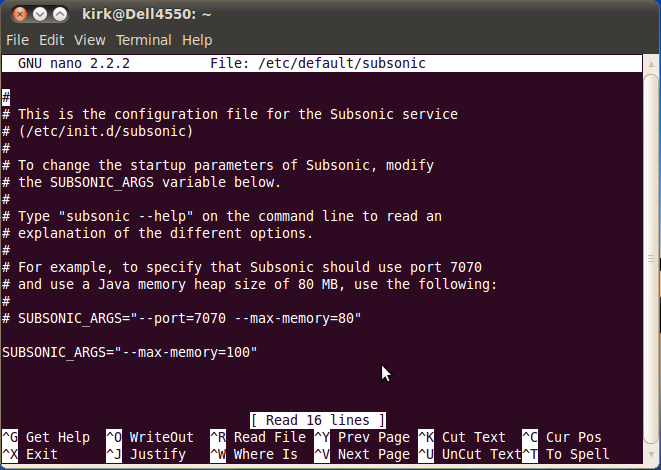 I can't find a subsonic.sh, nor can I find the "SUBSONIC_MAX_MEMORY" string anywhere. 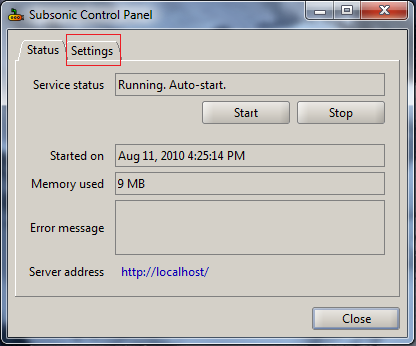 In short, modify line 37 of info.plist file, found within the Package Contents of the Subsonic application (Control-Click the application, select "Show Package Contents" form the contextual menu). Change the three digit number value within the string argument to be the size of the memory for Java to use. at line 37 -Xmx100m to -Xmx256m or whatever your installation needs. you will find that information in the installation dokumentation on www.subsonic.org for MacOSX. As far as I can tell, this modification to the memory on OS X will overwritten when a program update is installed. Hopefully, in the future, the application will be modified to store this setting in the /Library folder outside of the application itself. I had a problem that was solved by increasing the memory limit. I've also seen many with problems that are solved by increasing the memory limit. I suggest a sticky on this post. In Windows Vista, I got an error about not being able to write to the exe when clicking "Save Settings". I solved it by checking "Run As Administrator" in the Compatibility properties for the Subsonic Tray Icon. Whoops, I totally forgot I was hosting the images for this on one of my domains when I took some of my hosted content down for server overhauls back in February. My bad! The tutorial images have been restored.